Today is the day many people were waiting for. 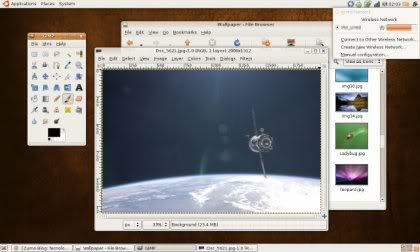 Ubuntu 7.10 codename Gutsy Gibbon was released, with several improvements. Ubuntu for those who don’t already know it, it’s a Linux Distro for Humans, which means that even you who don’t know much about computers can use it. It’s totally free and runs on Pcs and Mac. So if you are up to the challenge, you can Download the .ISO file from here, request by mail or just upgrade.